The nature of management is changing: managers are becoming more like consultants, focusing on projects, functional integration, change and 'clients'. 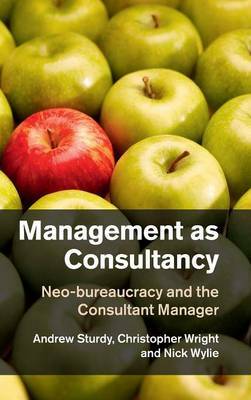 This timely book is based on a large-scale, international study of new management practices and examines the emergence of consultant managers. It breaks new ground in our understanding of this hybrid role, uncovering working practices, identities and occupational dynamics, to shed light on both management and consultancy. It unpacks the changing relationship between external consultants and management to reveal important implications for the future of consultancy. Both private and public sectors are covered, with a focus on managers in large and multinational organisations such as former consultants and those in specialisms such as human resource management who adopt consulting roles. In addition to advancing our understanding of changes in management, this book offers a demystifying view of consultancy as a whole, from one of the largest ever studies of this occupation.